September is such an exciting month because everything is shifting. It feels not quite one thing or another as there are still the vestiges of summer with bright sunny days and roses in the garden, meanwhile autumn is well underway with the hedgerows dripping in berries ready for the harvest. Every year is different however and this year the elderberries have been sparser than I have ever known them before. I assume this is because it was so wet in June when the flowers were out, meaning many pollinators were not able to access them and fulfil their important task. Many of the trees near me look like this photo below. Still after ranging further afield than normal I have managed a decent harvest, though I’ll need some more for tincture making before the season is out. How are the elderberries looking around you this year? There are many other beautiful berries hanging heavy from the branches however and it is always wise to include them in your diet for their wonderful antioxidant properties that help to protect and heal every cell of the body. The hawthorns are fat and fabulous this year, I suppose as they were pollinated before the heavy downpours came, the wet summer would have helped them grow large, if not necessarily more potent. The blackberries are also wonderfully abundant, ripe and juicy, though the sloes seem thinner on the ground than usual in the blackthorn trees near my home. I have it on good authority however that they are growing well in other parts. 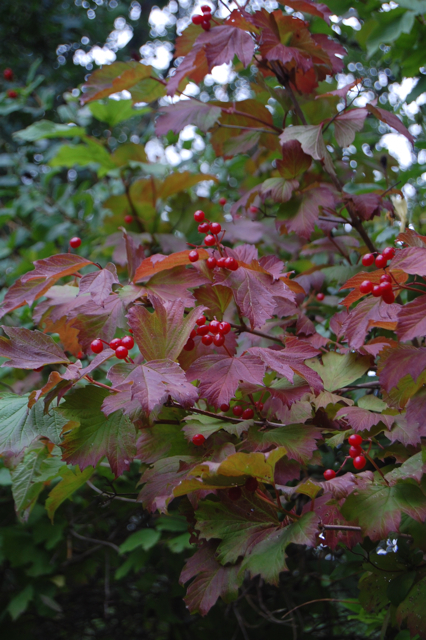 Like sloes, the berries of guelder rose or cramp bark (Viburnum opulus) and rowan or mountain ash (Sorbus acuparia) are not eaten raw but are good when cooked. 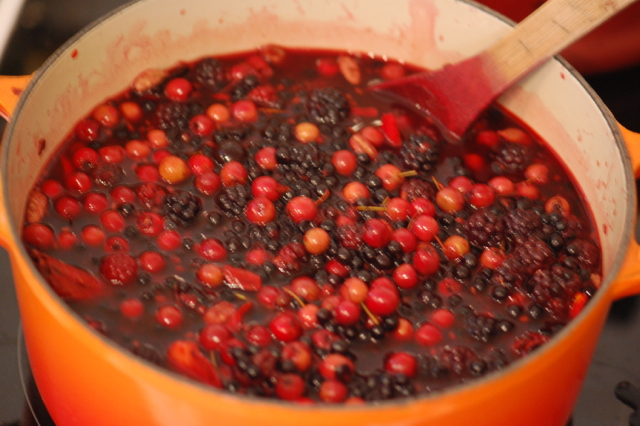 In Saturday’s herb group we picked a good selection of berries to make into a delicious variant on my 5 berry syrup recipe which you can find here. As you well know however, not all the berries in the hedgerow are safe to eat and all these pictured below would be well to avoid if you value the health of your internal organs, and in some cases your life. 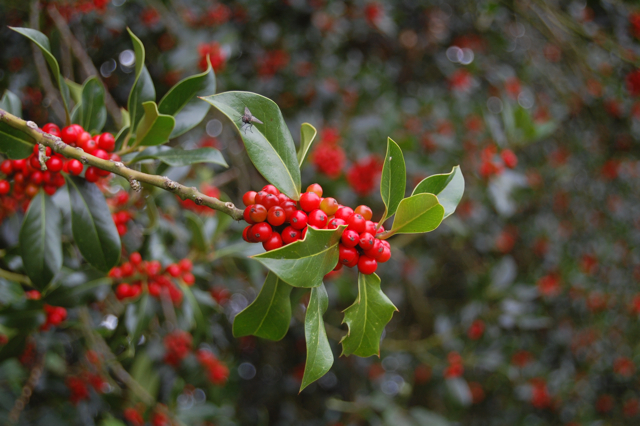 Holly berries are toxic, avoid them. 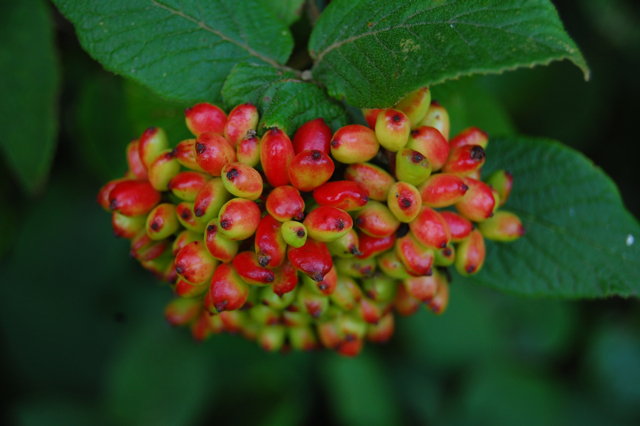 The beautiful berries of the wayfaring tree turn from green to bright red to black throughout the late summer and autumn. Alas they can lead to vomiting and diarrhoea though so ’tis best to leave them be. 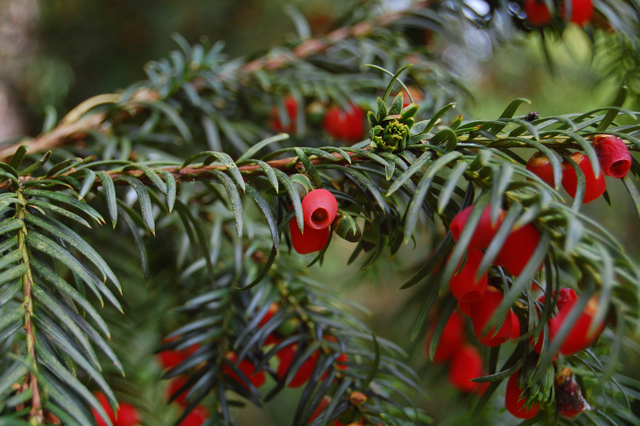 The yew berries, specifically the seeds they contain, are highly poisonous. 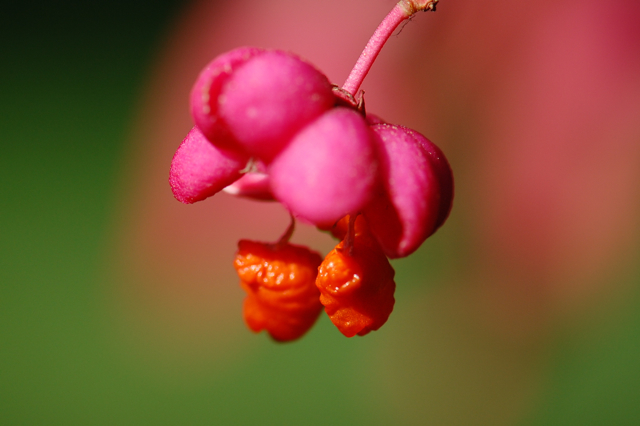 The beautiful spindle berries give much pleasure to look upon but not to consume, they are also toxic. 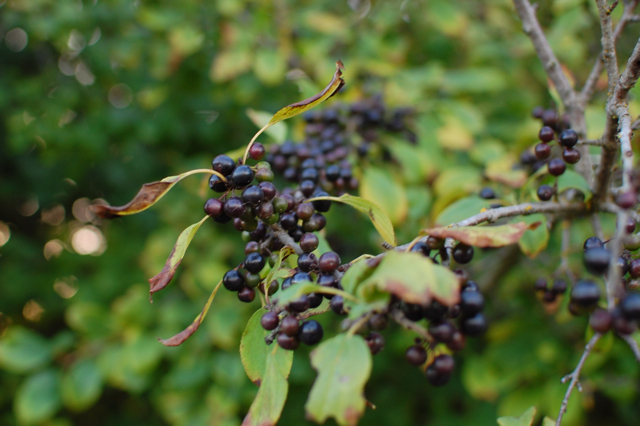 Common or purging buckthorn lives up to it’s name. 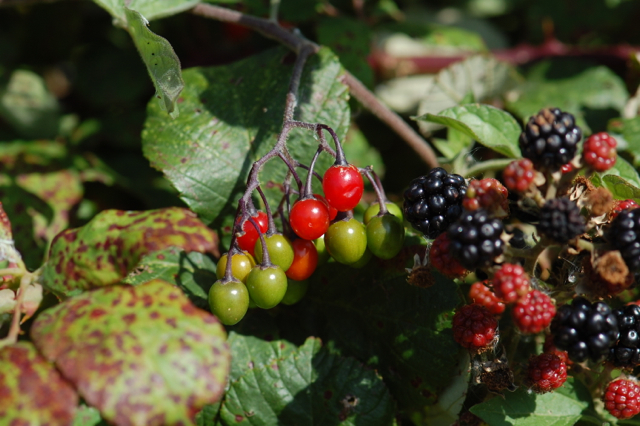 Black bryony berries are not ones to make into jam or it may be the last piece of toast you get to enjoy. Finally, the berries of woody nightshade may look enticing growing next to these blackberries but be sure to leave them out of your syrup. Related to the tomato you can see the resemblance can’t you? This is in no way an exhaustive list but it covers the majority of species growing in my local area. As with all wild plants, if you are not sure of the identification it is best to leave well alone. 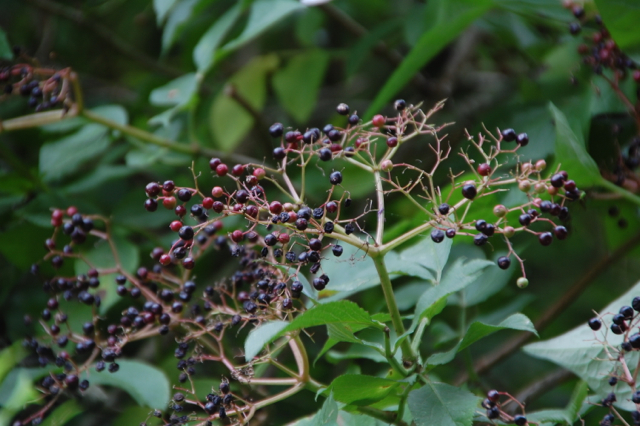 I’ll be back in a few days with a post looking at the medicinal properties of elderberries in more detail. In the meantime You can find some elderberry recipes in this post here from a couple of years ago. Yes I expect the birds are hungry after a mostly poor summer! Really interesting,thankyou. The elderberries have finished here in North Italy, they were also sparse,but due to lack of rain. Some trees have lost all their leaves,but the dried up elderberries are still clinging on. 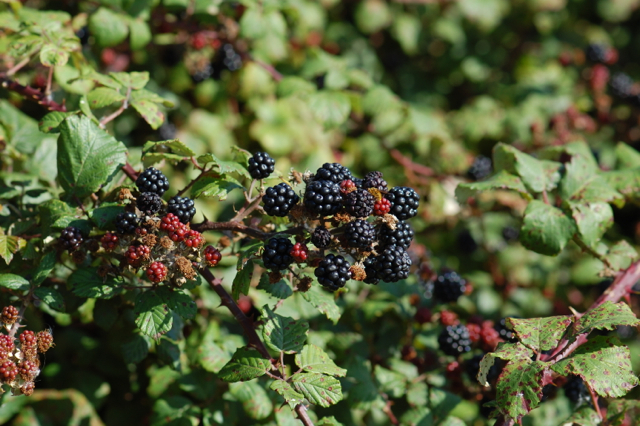 The blackberries were really dried up aswell and tiny…I didn’t pick any this year. 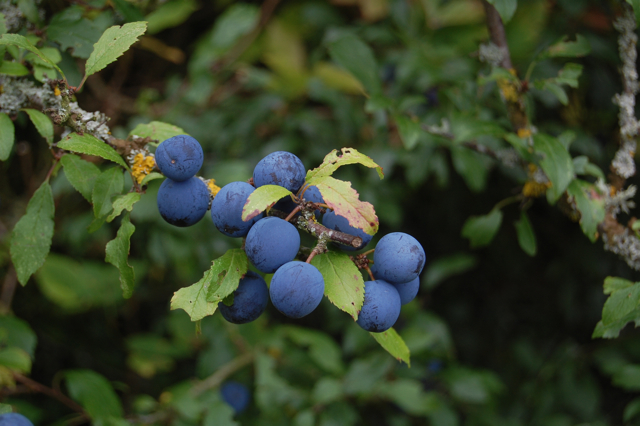 The sloes look healthy, so hope to make some sloe gin soon.I’m learning lots from your lovely blog…. Excess of any kind of weather is a challenge isn’t it. Good luck with your sloe gin making, such a lovely drink to enjoy through the winter! Hi~I’m living in Minnesota, USA ~ the elderberries (from the only farm that grows them in the whole of Minnesota) were early this year due to our hotter than normal summer. Made jam and am in elderberry jam heaven. After living in the UK for 12 years I got very fond of it. It’s a great way to take your medicine in the morning 🙂 Love your blog ~ thanks so much for sharing! Food as medicine is the very best isn’t it and your jam sounds divine. You may well already know this but sloes and rosehips are traditionally picked after the first frost. You can cheat however by putting them in the freezer over night so they think they have been through a frost. I only do this when I want to prepare them all together though, otherwise I just try to exercise patience! You describe the feel of this verge time so perfectly! Summer melding into autumn, tinkering on the edge. I’ve been for a few walks anhere in Cornwall now and I have been so excited to find the abundance everywhere of hawthorn berries, rosehips, blackberries. I still haven’t found any sloes, but I am on the look out 🙂 I think I will try out your syrup, it sounds so delicious and I need a day to get out and wildharvest, stir things over the stove, to help me fully settle in. Can’t wait to have you visit me here, and for me to visit you! I need a plant walk with you 🙂 Wish I could come to your Satuurday group, sounds delightful! 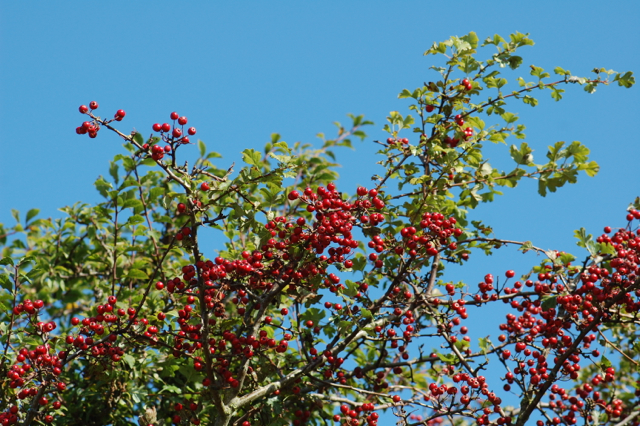 A hedgerow full of berries is one of the most exciting things isn’t it! I am sure you will like the syrup, it is lovely in a ginger tea or smothered on porridge on a cool morning. Thank you for your advice on making the syrup with dried elderberries. I too am having the local herb study group to my house for an afternoon of elderberry learning/sharing so I will try making it on my own first and write to you with any questions I may have before they come. Isn’t it wonderful how current technology enables women like us who value the gift of herbs to learn & share from each other even though we live so far apart?! Perhaps it sounds silly to write that, but we are truly lucky. I love the connection that enables us to continue the ancient wisdom. After all, how many towns or counties these days have “a wise woman” to provide the knowledge? Yes it is most wonderful! Sometimes I complain about technology but, like all things, it has its good and bad sides. It helps us keep all our herbal traditions alive and also create and share new ones. Great post as usual. I particularly like that you spent time on some of the more common ones to avoid. I think that is an especially hard lesson for folks to remember since the even the bad berries seem so inviting. Yes many of them are very tempting aren’t they! Sometimes I wonder how more people don’t get into trouble with them! 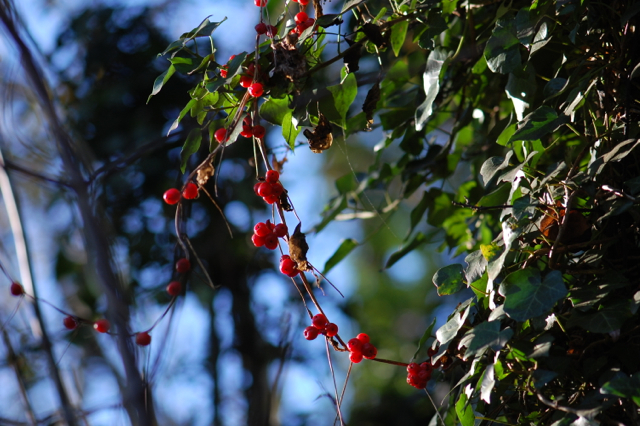 Yew berries are not poisonous, only the seed inside and the rest of the tree!